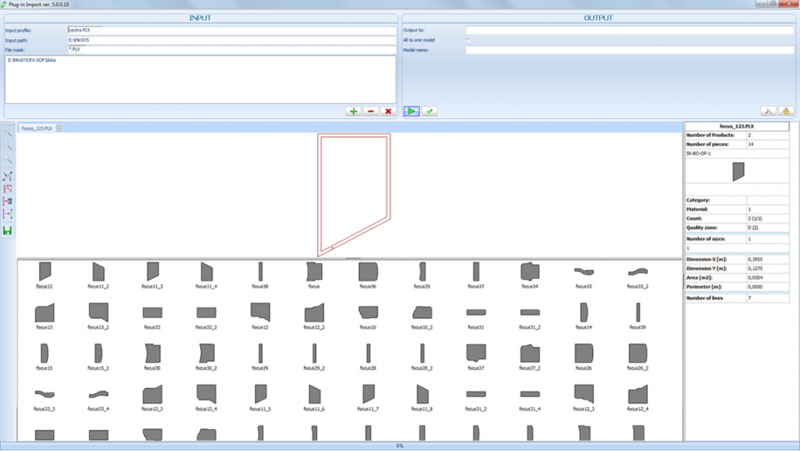 Universal easy-to-use CAD system used mainly in the leather and technical textile processing industry, automotive industry, upholstery industry, and similar applications. The system contains functions which covers the creation of new models and patterns, from as early as their digitization and direct design. 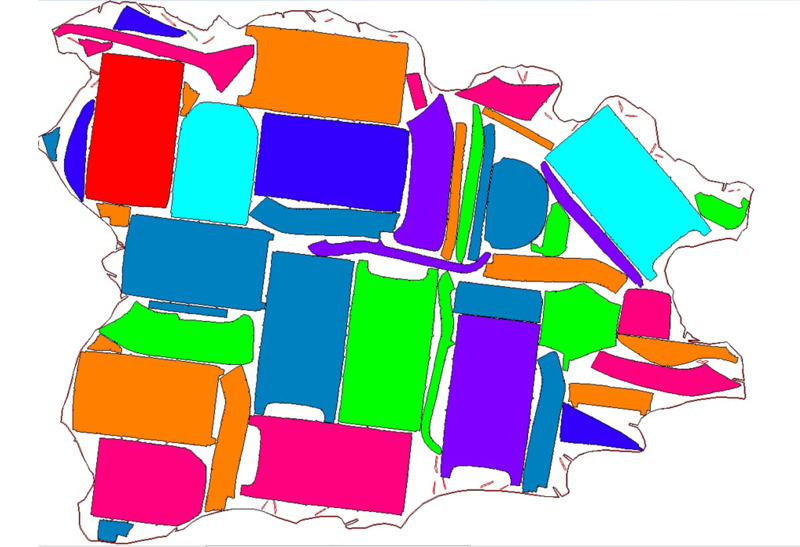 A fully hardware-accelerated user interface (OpenGL) allows easy and fast editing of the shape of the pieces and their parameters. With the use of additional plug-ins, users can easily import and then edit models from different data formats (use of predefined multi-operations), or scan pieces with high accuracy by digital camera. The FootwearCAD is a perfect tool for large companies as well as for mid-sized and small companies. 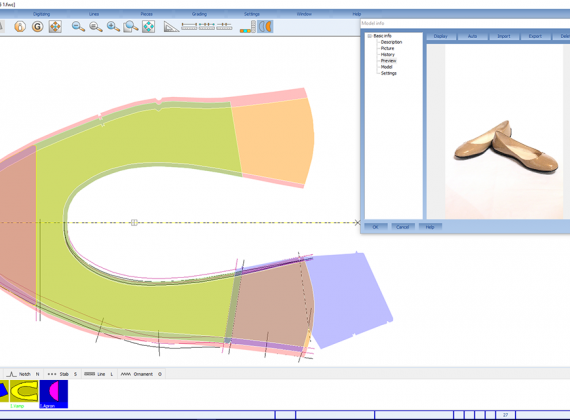 System markedly simplifies designers, modelers and technologists work and is ideal for a complete construction and grading of all pieces and templates of shoemaker design. The system consists of a big range of efficient functions for a modeler base digitalization through parts construction, automatic grading to the templates cutting or drawing. Highly effective tool for garment producers. 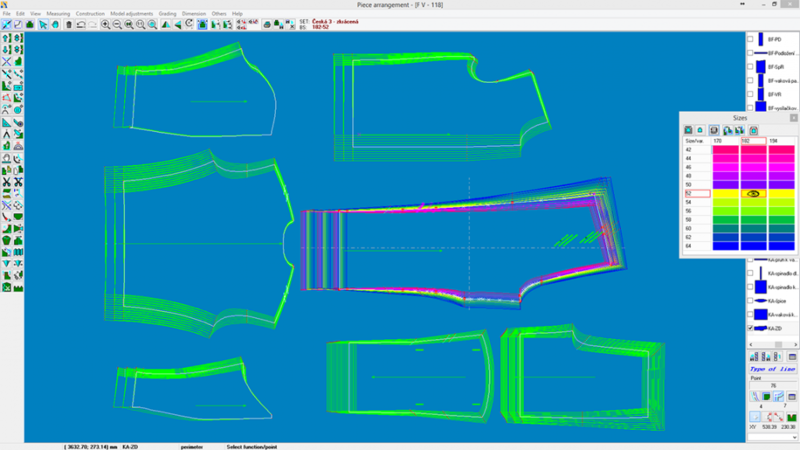 GarmentCAD covers the creation of new models, grading, templates drawing or export for nesting systems. More information available upon the request. System for nesting of pieces on textile, synthetic and leather materials with possibility of direct output to cutting and drawing machines. 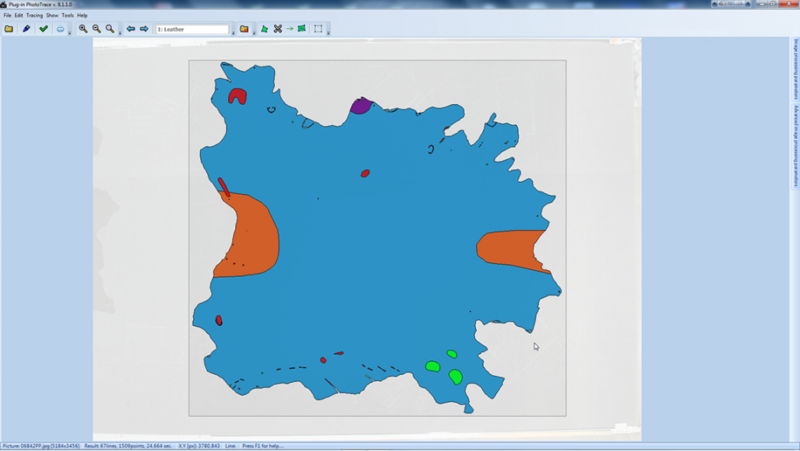 The CutNest allows to create markers with use of interactive or automatic nesting of pieces on requested material size or shape. Markers can be also grouped by customer‘s order when particular number of requested models/products is entered. The CutNest enables direct communication between computer and output devices, such as large format printers, plotters and CNC-cutters. Fully automatic nesting module, which completely replaces difficult and time taking preparation of marker by method of interactive nesting, with maximal material utilization. Perfect solution for manufacturers who prepare large amounts of markers or use large amount of pieces. Connection with the CutNest enables to prepare pieces and material. According to set parameters of pieces and material, Automatic Nesting tries thousands of different variations for a set period of time and chooses the best one. Management of a queue of data for cutting and enables direct connection and data-transfer between computer and CNC-cutter. 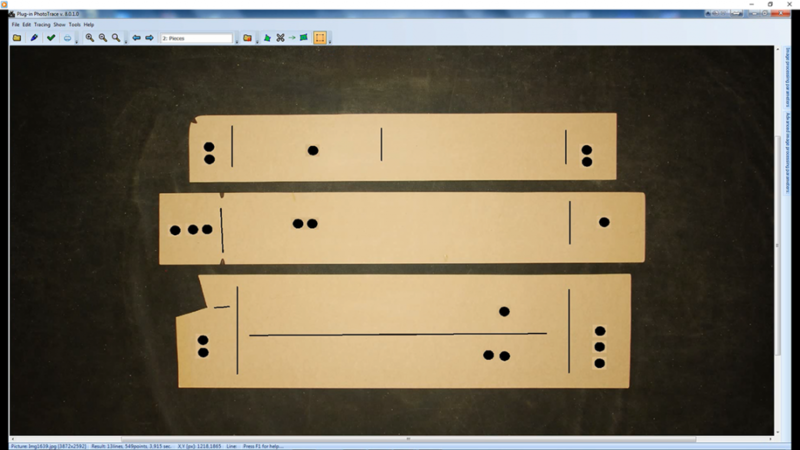 PlotManager provides data connection between computer and a CNC-cutter. It is used for CNC-cutters, which are directly connected with the computer via serial or parallel cable. 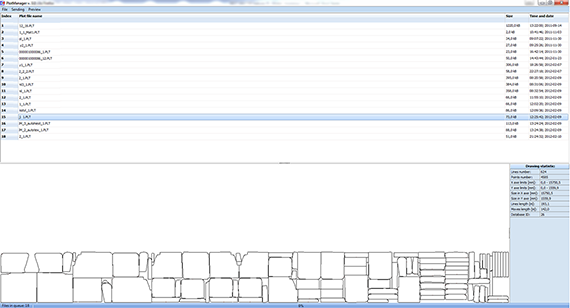 PlotManager enables to manage a queue of cutting data: start of cutting, pause or cancel data sending. It is possible to record statistic data of production. This data can be monitored online from a remote workplace and transfer them into MRP System for purpose of monitoring and managing the production. Report of number of models, pieces, workers, productivity, etc. 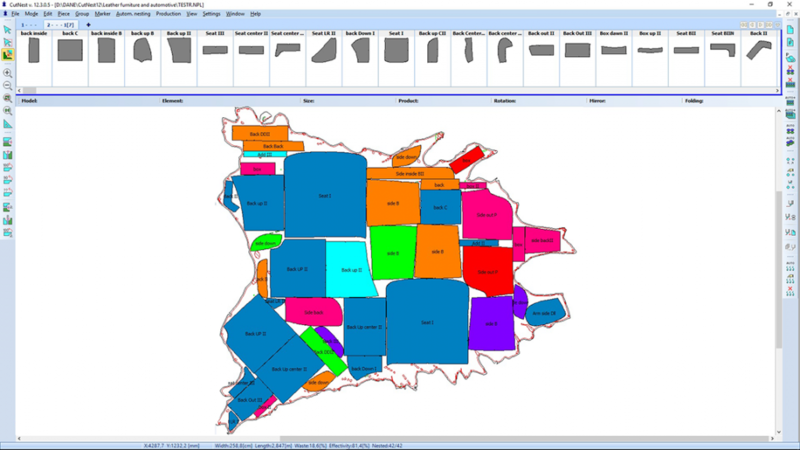 CutStatistic system records the statistic data into database. The source of data is CutNest system, which gathers following information: names of cut plans and models, list and quantity of pieces, time of cutting, material area, waste, efficiency, picture of marker, etc. 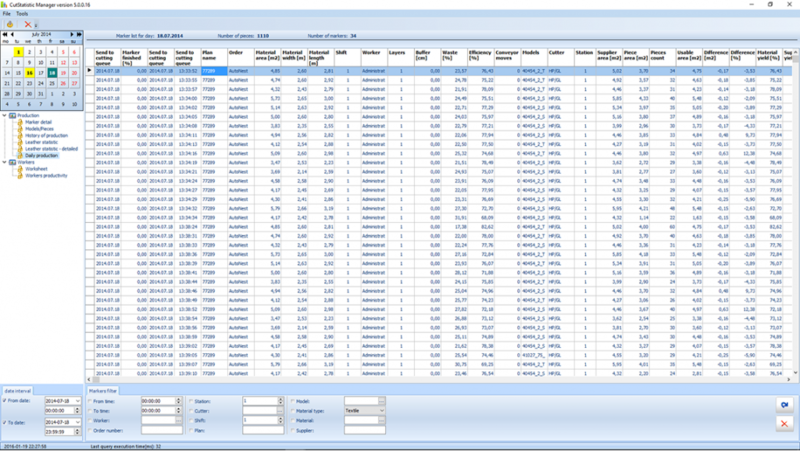 The CutStatistic application enables to work with database and create reports for selected time interval, shift, worker, materials, models, etc. Following reports are available: History of production, Marker (plan) details, Models/pieces, Worksheet, Workers productivity. All reports can be customized and additional reports can be prepared.